We’re very proud to announce to you PSS Screens. 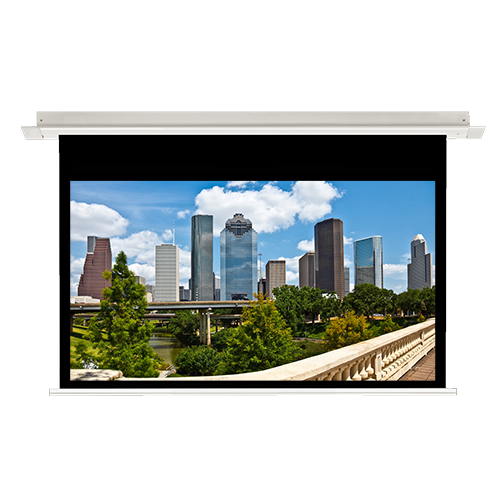 These screens are high quality, affordable projection screens, manufactured by Severtson Screens. 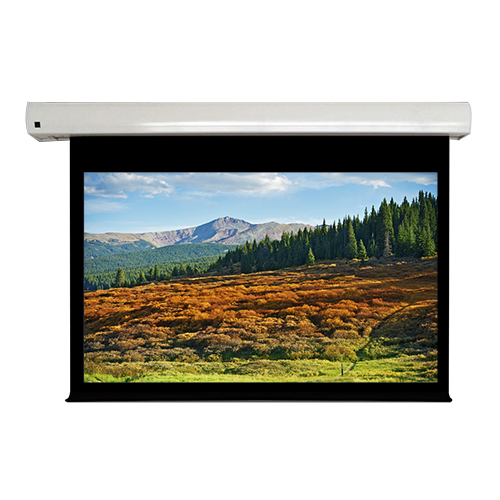 All PSS screens include FREE ground delivery to any US address, AK and HI not included. Projector SuperStore and Severtson Screens have each been providing their customers with quality products and customer service for over two decades. Now, we have partnered together to allow you, the customer, to have access to some of the highest quality projection screens at an affordable price. At the heart of this partnership is the desire to provide you with the best possible screen-buying experience…. Which is exactly what you deserve! We understand that when it comes to buying a screen, you are looking for an option that is both high-quality and affordable. You want something that will hold up over the years, and won’t break the budget. We have designed our screens to fill that exact gap. Our screens are significantly more affordable than options available from competitors, yet don’t sacrifice quality. 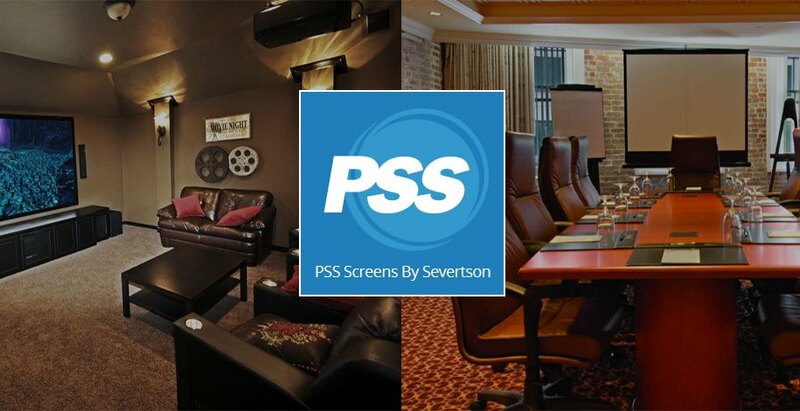 PSS screens are designed here in the USA by Severtson Screens, a local, family-owned and operated company. PSS screens utilize the same materials that go into their other screens which are found in many of the major movie theater chains as well as medical and corporate environments. From the moment you place your order, every step of the order fulfilment process is handled with care and professionalism. Our team will process the order, follow up with personal email, and monitor the order for you. Your screen will be inspected and tested by a qualified professional before being packaged and sent to you. We’re confident you’ll be happy with your PSS screen. We offer a 30 day return policy on all screens. Also, our screens are backed with industry leading warranties. Fixed frame screens have a limited lifetime warranty, and electric screens have a full 2 year warranty. Should any issues arise with your screen, just give us a call, and we’ll have it taken care of in no time! Severtson Corporation was created in 1986 in response to the US Air Force’s need to find both a quality optical coating and a uniform application process for the screens of their domed simulators. Demand for Severtson’s product soon had the company working for large corporations and military organizations in over 40 countries. In the early 1990’s a contract with IMAX Corporation brought Severtson Corporation into the cinema screen industry. In 2003 Severtson Corporation launched its own line of Home Theater/Pro Av screens with a basic fixed-frame screen and later expanded the line to include a screen for every need. By using the same optical coatings used on their large cinema screens, the Home Theater/Pro AV line delivers outstanding performance in both 2D and 3D formats. The combined experience of building small home theater screens and large cinema screens has given Severtson Corporation the expertise to meet the needs of the Pro AV market for both professional indoor applications as well as large outdoor venues. Celebrating its 25th anniversary in 2011, Severtson Corporation continues to be a global leader in innovation and quality. The addition of a new facility with its state-of-the art robotic application system not only increases the company’s production capability, it also increases the number of screen sizes available to their clients. Click here to learn more about PSS Screens!